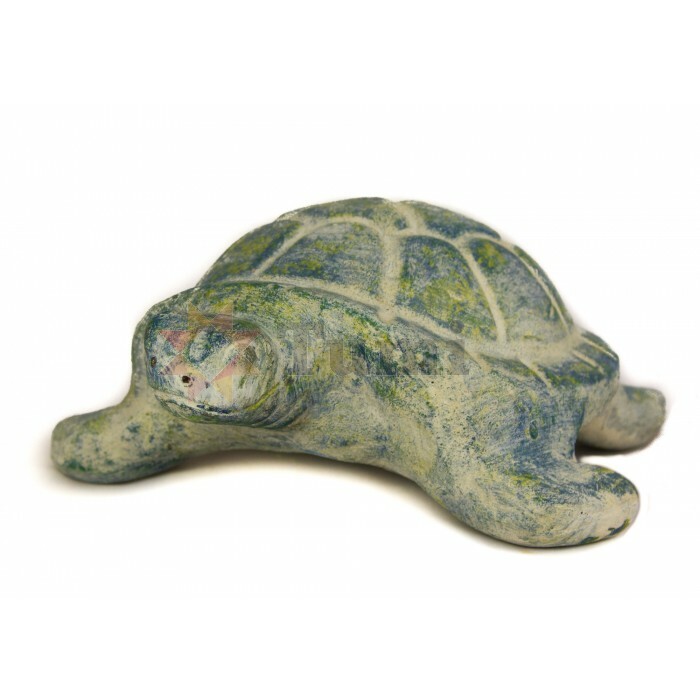 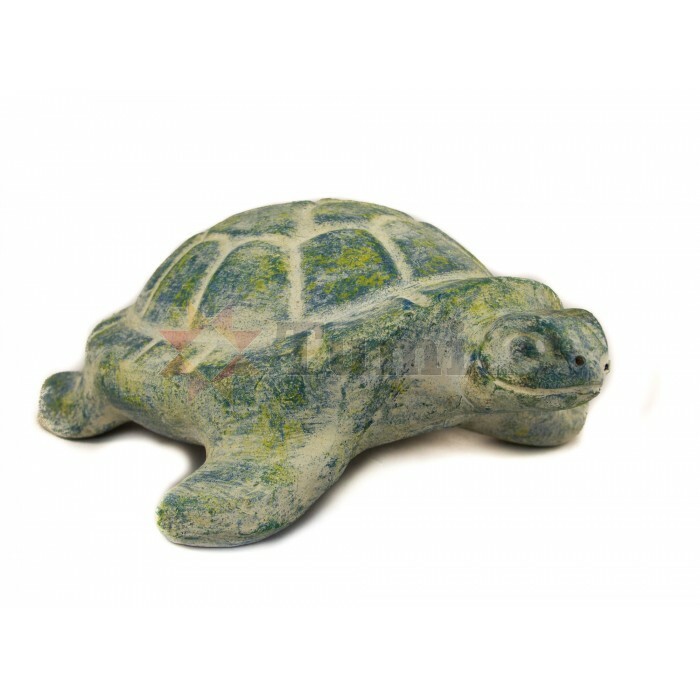 Earthenware figure of a turtle fired in a wood burning oven. 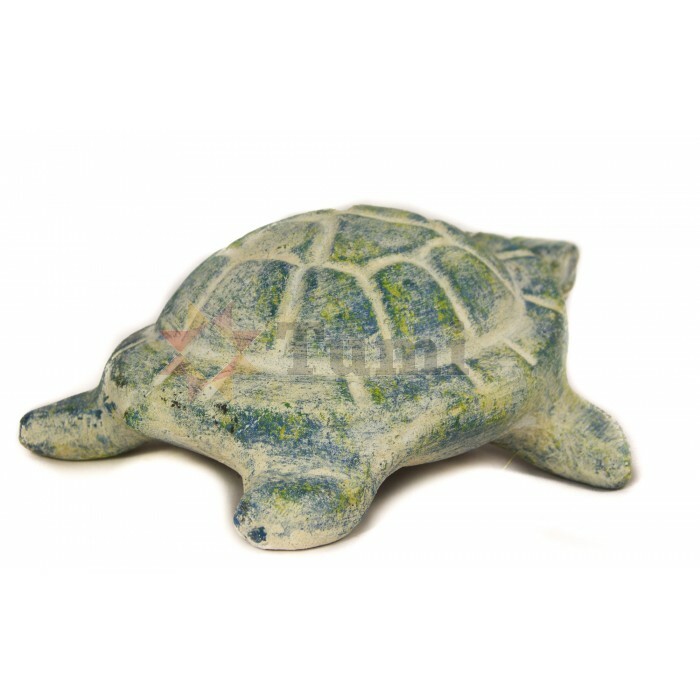 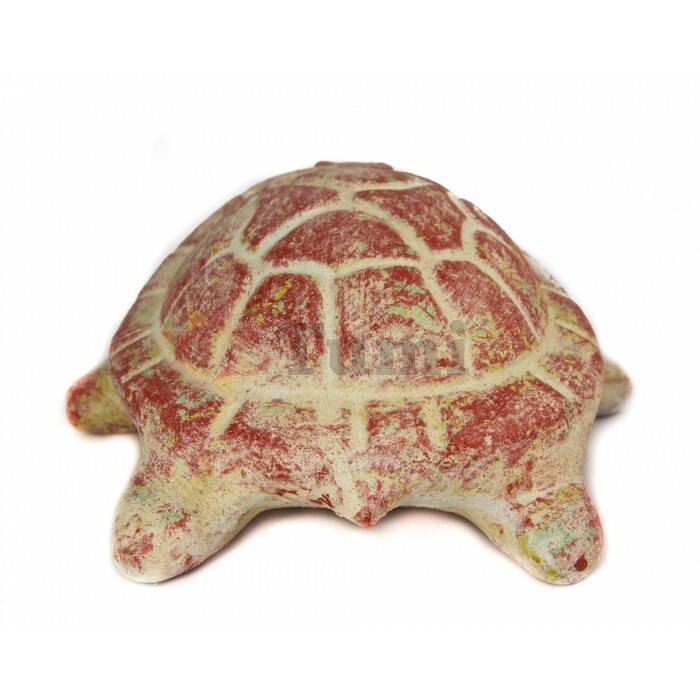 This turtle is frost proof so can be put outside[comma] although the colours may run or fade over time in the rain. Hand made in Mexico.